If you have any questions about the WHIRLWIND XII information page below please contact us. 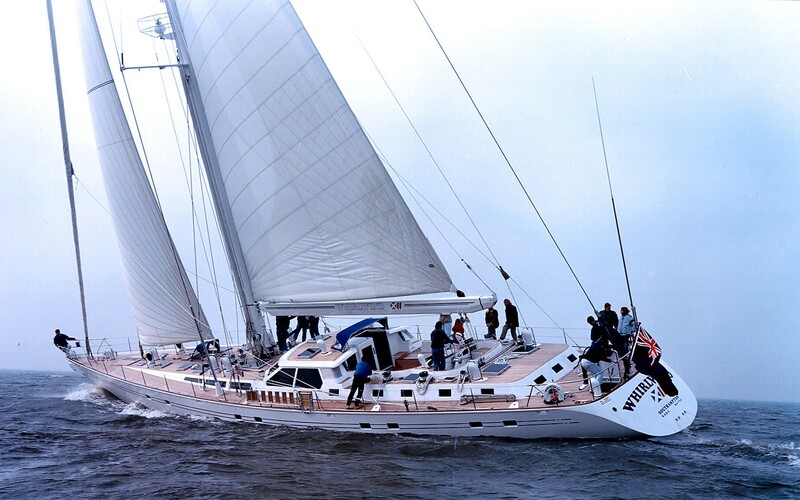 From the Royal Huisman yard in the Netherlands the WHIRLWIND XII is 31 metre 103 (ft) in length. Christened for 1986 the comparatively traditional interior design showcases the traditional approach in the designing of Peter Sijm. Superyacht WHIRLWIND XII can accommodate up to 6 passengers with 5 crew. The former names or project names are 344. She can reach a maximum speed of 12 knots. 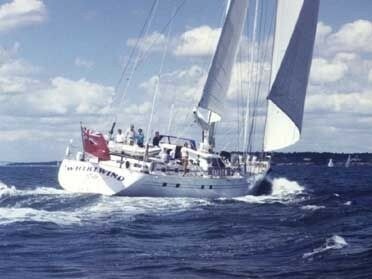 Ron Holland Design was the naval architect firm involved in the formal vessel composition for WHIRLWIND XII. Also the company Ron Holland Design skillfully collaborated on this venture. Interior designer Peter Sijm was commissioned for the internal internal ambience. 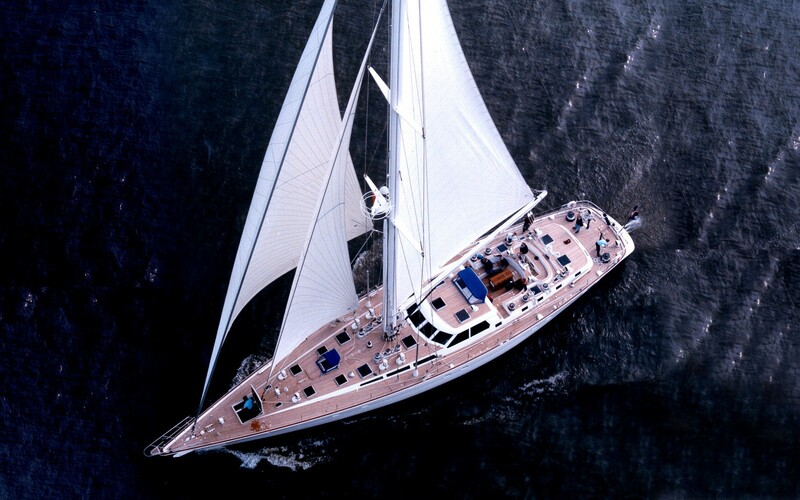 the Netherlands is the country that Royal Huisman built their new build sailing yacht in. After the official launch in 1986 in Vollenhove the boat was afterwards released to the owner following sea trials and testing. A reasonable area is manifested with a total beam (width) of 7 metres or 23 feet. With a 3.38m (11.1ft) draught (maximum depth) she is reasonably deep. The material aluminium was used in the building of the hull of the sailing yacht. Her superstructure over the hull is built from aluminium. In 1996 further refitting and updating was additionally performed. The OM 423 engine installed in the sailing yacht is made by MERCEDES. Connected to her Mercedes engine(s) are a single screw propeller. The main engine of the ship produces 355 horse power (or 261 kilowatts). She is equiped with 1 engines. The combined power for the boat is thus 355 HP / 261 KW. The bow thrusters are Richfield. Providing cabins for a limit of 6 yacht guests staying on board, the WHIRLWIND XII accommodates everyone in style. This ship carries approximately 5 proficient qualified crew to manage. 31.36 metres / 102.9 feet. Total engine power output 355 HP /261 KW. Mercedes 2 times 21 kilowatts. 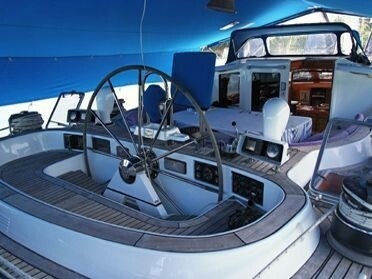 Condaria is the the company which manufactured the air conditioning utilised on the yacht. WHIRLWIND XII features a teak deck. 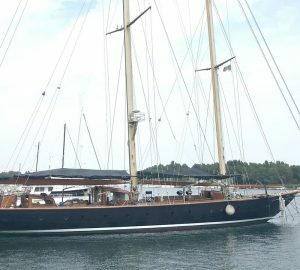 The luxury yacht WHIRLWIND XII displayed on this page is merely informational and she is not necessarily available for yacht charter or for sale, nor is she represented or marketed in anyway by CharterWorld. This web page and the superyacht information contained herein is not contractual. All yacht specifications and informations are displayed in good faith but CharterWorld does not warrant or assume any legal liability or responsibility for the current accuracy, completeness, validity, or usefulness of any superyacht information and/or images displayed. All boat information is subject to change without prior notice and may not be current.